Political crisis had prompted three international credit rating agencies to downgrade Sri Lanka and the IMF to suspend its bailout programme. 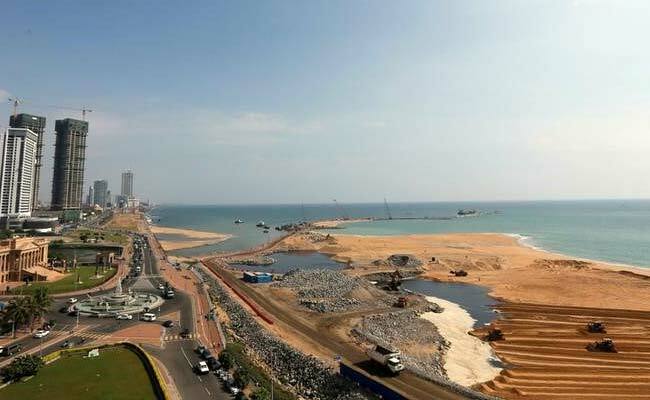 Sri Lanka has appealed to the International Monetary Fund to revive a $1.5-billion bailout suspended during the island nation's political crisis late last year, the finance ministry said Wednesday. Courts and the parliament subsequently held that the president's actions were unconstitutional and restored the status quo after more than seven weeks of upheaval that alarmed the international community. The crisis prompted three international credit rating agencies to downgrade Sri Lanka and the IMF to suspend its bailout programme -- that began in 2016 -- just as it was about to disburse another instalment. Sri Lanka's finance ministry said in a statement the request to revive the bailout was made during talks between Finance Minister Mangala Samaraweera and IMF chief Christine Lagarde in Washington on Tuesday. A Sri Lankan delegation made the request "with a view to stabilising the economy" after the country's political "disruptions", it said. "We discussed the challenging economic environment and the policy priorities for the country," it said in a statement quoting Lagarde. "The IMF remains ready to support the Sri Lankan authorities in these endeavours and an IMF team is scheduled to visit Colombo in mid-February to resume program discussions." Wickremesinghe told parliament last week that his shock dismissal on October 26 was a "coup" and a "death blow" to the economy. Sri Lanka will have to repay a record $5.9 billion this calendar year, he added. The Washington-based fund has been urging Colombo -- which is emerging from a balance of payments crisis -- to conserve its foreign exchange reserves and ensure economic reforms. Last year, the IMF warned that Sri Lanka was vulnerable to shocks from at home and abroad and stressed that restructuring the island's loss-making national airline and reforming its energy sector were vital. One of the biggest drags on the country's balance sheet is national carrier Sri Lankan, which has accumulated losses and debts of over $2 billion and is a huge burden on taxpayers.